Responsive theme suitable for news portals, especially those related to the music industry. 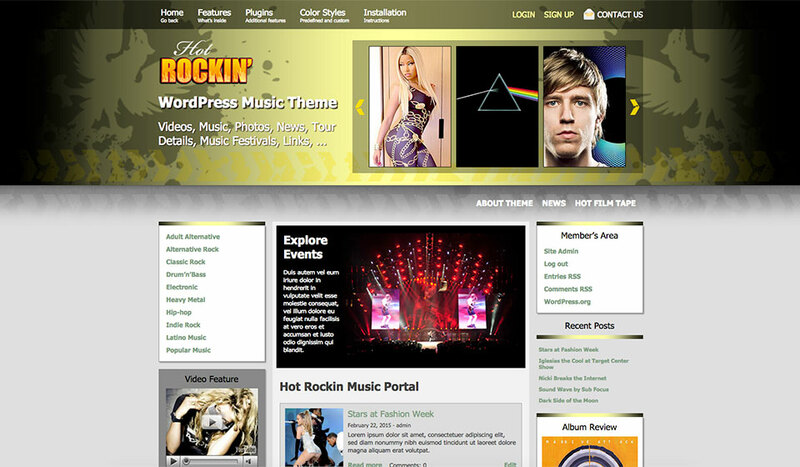 If you are looking for responsive WordPress music themes suitable for development of music portals based on WordPress, Hot Rockin is a good choice. There are many places throughout the theme where you can put information about music, such as album reviews, top charts, audio and video streams and blog posts. 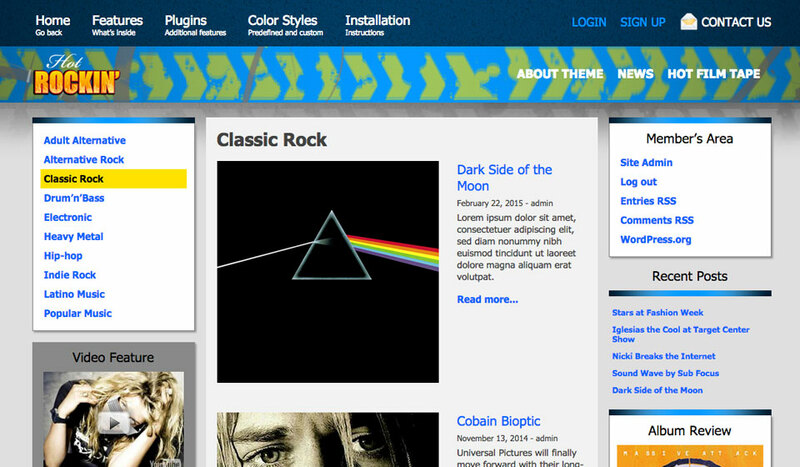 During the development of WordPress music themes, we are doing our best to make them as customizable as possible. Even with complex, multi layered backgrounds, you can still select custom colors that you like. This theme is a good choice for all websites about music, including but not limited to music news portals, music band’s website or performer’s website. A lot of widget positions in this theme allows you to add all those different kinds of information that’s usualy presented in the music websites. You can select one out of three included image sliders or use them all in different sections of your site. This is the age of mobile devices. 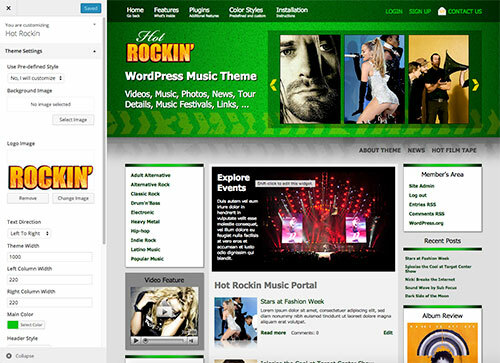 Therefore, we are optimizing our WordPress music themes for them. Any music site should expect a lot of traffic from mobile devices. Development of responsive website is the only correct option. 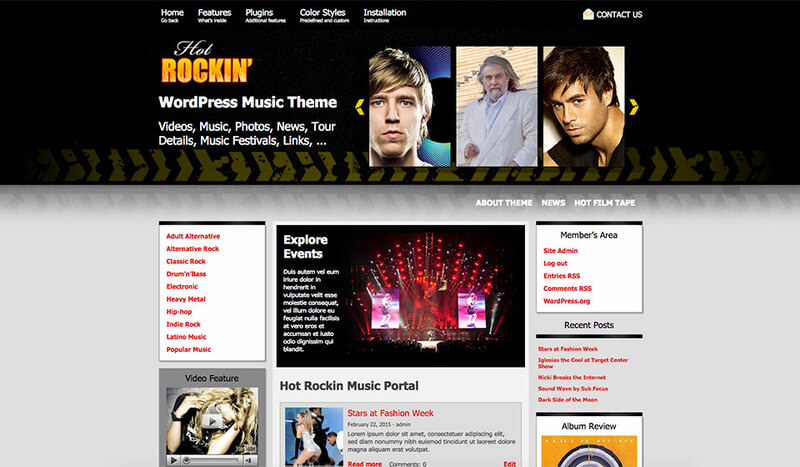 Hot Rockin is a responsive WordPress theme. It will look good and optimized on all desktop and notebook computers, as well as mobile devices (tablets and smartphones)! This theme supports WordPress Live Customizer. You can set all options of this theme from the Live Customizer pane and see the results of your settings live. There’s no better and no faster way to tweak your site. You can enjoy this unique feature of WordPress altogether with our theme. Change of logo or background image or set different font color is now just one click away. Support for Font Awesome collection of icons is incorporated in this theme. You can use the most popular vector icons collection for your projects.